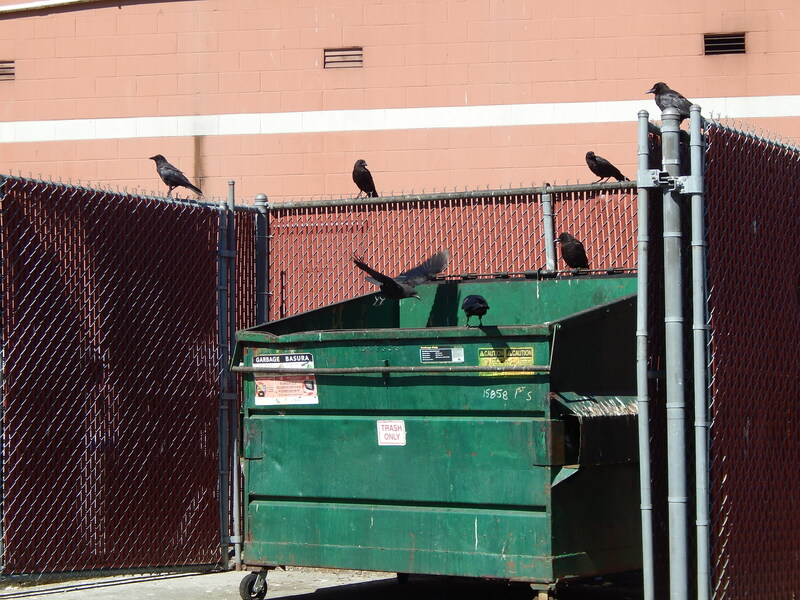 Nothing like a good pile of garbage to attract a family of crows. 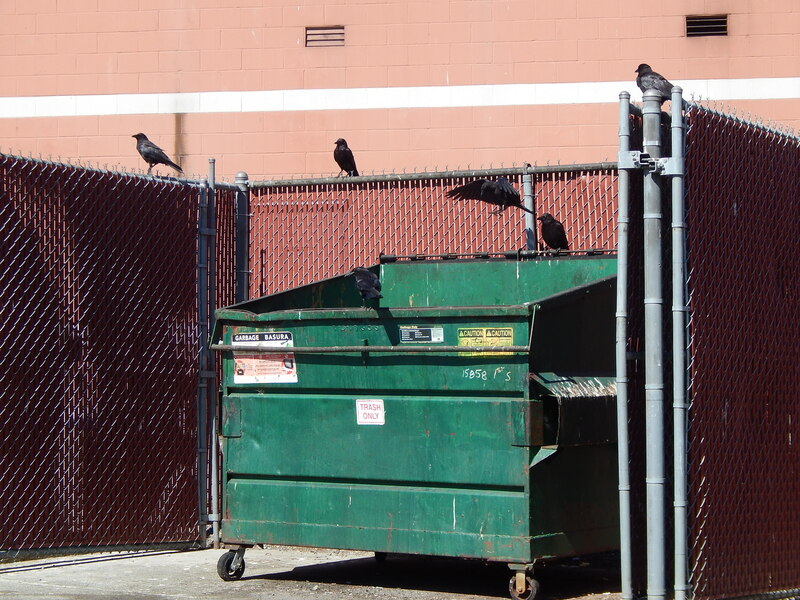 Check out how they are taking turns dumpster diving for treats. Crow going in for a dive! 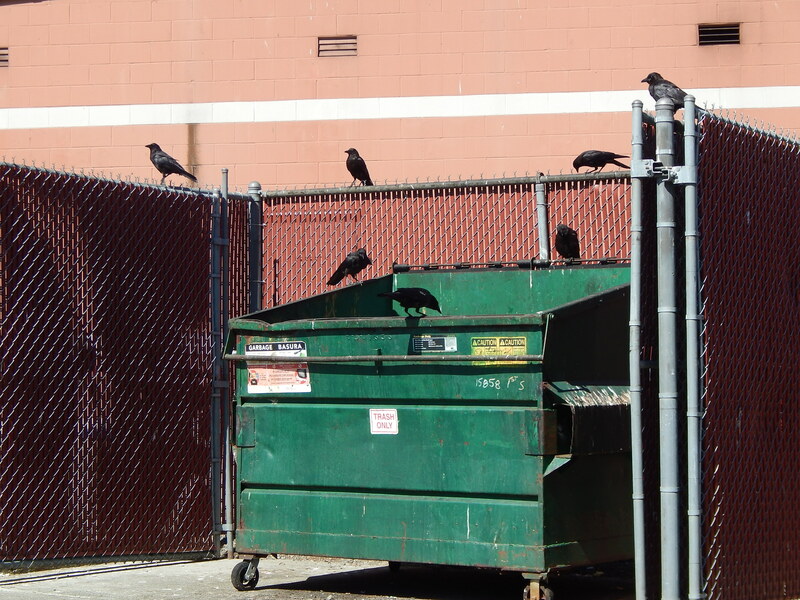 And another crow shows off with his dumpster skills. The baby crow was taking his turn and you can hear him crying at his family. Then he came up with nothing. Still has a lot to learn is all I can say!